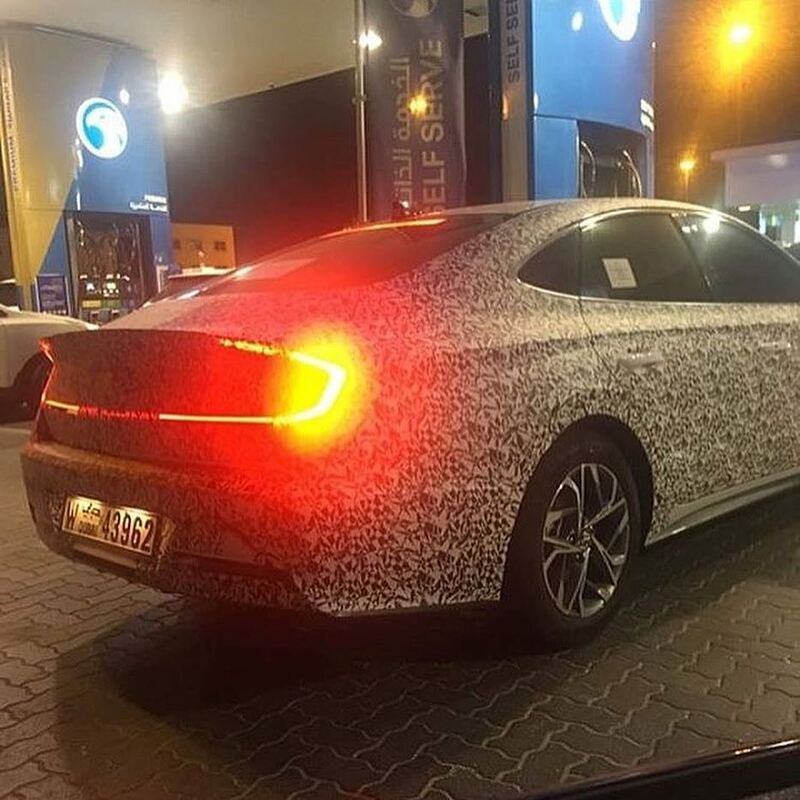 Update: Fresh spy shots of the 2020 Hyundai Sonata have surfaced online, courtesy Instagram user cars_fantastic99. The latest images reveal that the all-new model features C-shaped, connected tail lights. Image gallery at the end of the story updated with new spy shots. 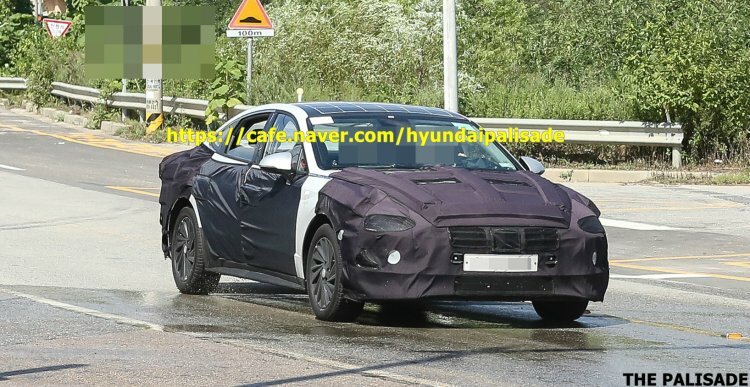 Fresh spy shots of the 2020 Hyundai Sonata have surfaced online, courtesy Naver Cafe hyundaipalisade. Like the previous spy shots, images show the vehicle equipped with a solar panel roof. The next-gen Hyundai Sonata (codename: Hyundai DN8) could come with a solar panel roof in the hybrid and plug-in hybrid variant. Back in 2009, Toyota amazed the world with the mass-market (automobile industry) application of solar panels in the third generation Prius. The Kyocera-sourced panels installed on the car’s moon roof generated power for the ventilation system. Fast-forward to 2016, the fourth-gen Prius’ plug-in hybrid variant became the world’s first car featuring a solar roof extending the pure electric driving range. Now, Hyundai is keen on using the natural source of energy on its cars. The next-gen Sonata’s hybrid and plug-in hybrid variant could feature a solar panel roof. The aero-focused wheel design of the test mule suggests that it’s possibly an electrified variant. Solar power could help the plug-in hybrid variant to finally reach the 31-mile (50-km) pure electric range mark, and maybe surpass it. The new Hyundai Sonata will incorporate the Sensuous Sportiness design language that was previewed by the Hyundai Le Fil Rouge (HDC-1) concept this year, looking sleeker than its predecessor. A major overhaul is expected on the inside with new comfort creatures and a higher level of digitalisation, including the shift from a conventional to a virtual instrument cluster. Currently, there’s a wide range of petrol engine options in displacements ranging from 1.6-litre to 2.4-litre, and a 1.7-litre diesel engine option also exists. With the full model change, at least the 2.0-litre turbocharged unit should continue. The new 1.6-litre U3 CRDi diesel engine shared by the Hyundai Tucson, Kia Optima and Kia Ceed could replace the 1.7-litre U2 CRDi diesel engine, and that's assuming there's a plan to continue the diesel Sonata. There’s no word on the HEV and PHEV’s progress. The all-new Hyundai Sonata should go on sale internationally during the second half of 2019. Also Read: Hyundai QXi (Maruti Vitara Brezza slayer) to be named ‘Hyundai Styx’? The 2020 Hyundai Sonata will likely reach showrooms internationally in the second half of 2019. With the previous generation having failed to make its presence felt in India, the current generation was not considered by HMIL. There’s little hope for the next-gen model now.